Elizabeth Hoskins was born on 20 May 1731 at Simsbury, Hartford Co., CT. She was the daughter of Robert Hoskins and Elizabeth Buckland. Elizabeth Hoskins married Amasa Case, son of Capt. James Case and Esther Fithian, in 1752. Elizabeth Hoskins died on 27 May 1764 at Simsbury, Hartford Co., CT, at age 33. Aaron Goddard was also known as Aaron Gossard. He was born on 16 May 1708 at Simsbury, Hartford Co., CT. He was the son of John Goddard and Sarah Hayes. Moses Goddard was born on 26 May 1746 at Granby, Hartford Co., CT. He was the son of Aaron Goddard and Mary Huxley. Moses Goddard married Keziah Hayes, daughter of Daniel Hayes II and Abigail Hayes, in December 1768 at Granby, Hartford Co., CT. Moses Goddard died on 11 April 1832 at Village of North Granby, Granby, Hartford Co., CT, at age 85. Keziah Hayes was born on 13 May 1749 at Simsbury, Hartford Co., CT. She was the daughter of Daniel Hayes II and Abigail Hayes. Keziah Hayes married Moses Goddard, son of Aaron Goddard and Mary Huxley, in December 1768 at Granby, Hartford Co., CT.
[S25] Hannah McPherson, Holcombe Genealogy, Page 144.1/Item A-8-1-5-1-3. Bidwell lived on a farm in Granby. [S25] Hannah McPherson, Holcombe Genealogy, Page 48.2/Item A-4-5-2-2-9-2. Ruth Holcombe was the daughter of Amasa Holcombe and Ruth Hoskins. Mary Holcombe was born circa 1796. She was the daughter of Amasa Holcombe and Ruth Hoskins. Mary Holcombe married Lawrence Messenger.1 Mary Holcombe married Japhet Lampson, son of Jesse Lampson and Ruth (? ), on 15 April 1848 at Granville, Hampden Co., MA. Zilpah Holcombe was born in 1799. She was the daughter of Amasa Holcombe and Ruth Hoskins. Zilpah Holcombe married Aaron Rice, son of Richard Rice and Hannah Buttles. Zilpah Holcombe died on 11 August 1874 at East Windsor Hill, CT.
[S25] Hannah McPherson, Holcombe Genealogy, Page 49.1/Item A-4-5-2-2-9-6. Orpha Holcombe was the daughter of Amasa Holcombe and Ruth Hoskins. Nelson Goddard was born on 19 January 1825 at Granby, Hartford Co., CT. He was the son of Oren Goddard and Minerva Holcombe.1 Nelson Goddard married Jarusia DeEtta Clark, daughter of Simon Clark and Hanna Remington, on 2 May 1858. 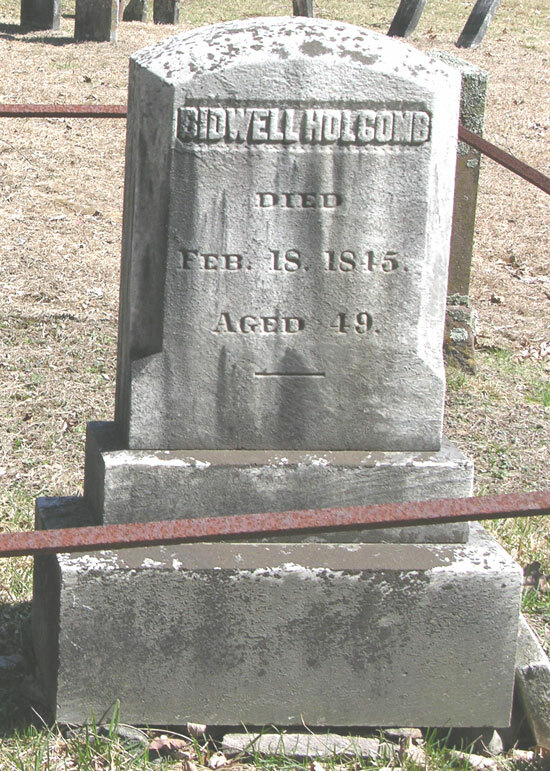 Nelson Goddard died on 20 September 1888 at Granville, Hampden Co., MA, at age 63. Jarusia DeEtta Clark was the daughter of Simon Clark and Hanna Remington. Jarusia DeEtta Clark married Nelson Goddard, son of Oren Goddard and Minerva Holcombe, on 2 May 1858. Jane Goddard was born on 17 March 1832 at Granby, Hartford Co., CT. She was the daughter of Oren Goddard and Minerva Holcombe.1 Jane Goddard married Joel LeRoy Root, son of James Root and Sally Webster, on 17 August 1851. Joel LeRoy Root was the son of James Root and Sally Webster. Joel LeRoy Root married Jane Goddard, daughter of Oren Goddard and Minerva Holcombe, on 17 August 1851. Anson Goddard was born on 29 August 1836 at Granby, Hartford Co., CT. He was the son of Oren Goddard and Minerva Holcombe.1 Anson Goddard died on 19 January 1879 at Granby, Hartford Co., CT, at age 42.2 Unmarried. 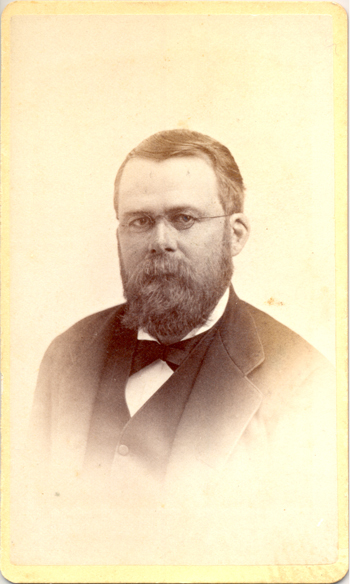 Miles Goddard was born on 23 March 1845 at Granby, Hartford Co., CT. He was the son of Oren Goddard and Minerva Holcombe.1 Miles Goddard married Clara R. Thompson, daughter of Joseph Thompson and Sara C. Shepard, on 22 October 1867. Miles Goddard died on 26 January 1887 at Granby, Hartford Co., CT, at age 41. [S422] Jr. Winfred R. Goddard, Goddard, Page 56. Clara R. Thompson was the daughter of Joseph Thompson and Sara C. Shepard. Clara R. Thompson married Miles Goddard, son of Oren Goddard and Minerva Holcombe, on 22 October 1867. Jarvis Philetus Case was born on 9 June 1805 at North Canton, Hartford Co., CT. He was the son of Philetus Case and Lucinda Reed. Jarvis Philetus Case died on 21 March 1879 at age 73. Sophia Lucinda Case was born on 29 August 1807 at North Canton, Hartford Co., CT. She was the daughter of Philetus Case and Lucinda Reed. Sopohia Lucinda Beach was born on 4 March 1843. She was the daughter of Oliver Beach Jr. and Lavinia Mercy Case. George Oliver Beach was born on 11 September 1844. He was the son of Oliver Beach Jr. and Lavinia Mercy Case. Morgan Case was born on 17 March 1812 at North Canton, Hartford Co., CT. Morgan Case was the child of Philetus Case and Lucinda Reed. Morgan Case died on 23 March 1875 at age 63. Morgan Case was buried at North Canton Cemetery, North Canton, Hartford Co., CT.
Sabra Permelia Case was born on 14 June 1814 at North Canton, Hartford Co., CT. She was the daughter of Philetus Case and Lucinda Reed. Sabra Permelia Case died on 8 August 1824 at age 10. She was buried at North Canton Cemetery, North Canton, Hartford Co., CT.
Violet Case was born on 27 October 1785 at West Granby, Granby, Hartford Co., CT. She was the daughter of Simeon Case Jr. and Violet Burr. Violet Case married Philo Phelps, son of Ezekiel Phelps and Bathsheba Case, on 1 January 1818 at First Congregational Church, Barkhamsted, Litchfield Co., CT. Violet Case died on 24 March 1873 at Granby, Hartford Co., CT, at age 87. Bathsheba Humphrey was born on 2 June 1725 at Simsbury, Hartford Co., CT. She was the daughter of Captain Samuel Humphrey and Mary Ann Eno. Bathsheba Humphrey married Isaac Case, son of Bartholomew Case and Mary Humphrey, on 19 March 1740/41 at Simsbury, Hartford Co., CT.3 Bathsheba Humphrey died on 4 May 1803 at Simsbury, Hartford Co., CT, at age 77. She was buried at Hopmeadow Cemetery, Simsbury, Hartford Co., CT.
[S65] Deanna Holcomb Bowman Thomas Holcomb, Vol. I:Pg. 108/Item 3254. [S275] Frederick Humphreys, Humphreys, Volume I, Page 122. Bathsheba Case was born on 22 October 1751 at Simsbury, Hartford Co., CT. She was the daughter of Isaac Case and Bathsheba Humphrey. Bathsheba Case married Ezekiel Phelps, son of Ezekiel Phelps and Elizabeth Gillette, on 8 April 1770. Ezekiel Phelps was born on 9 March 1747/48 at Simsbury, Hartford Co., CT.2 He was the son of Ezekiel Phelps and Elizabeth Gillette. Ezekiel Phelps married Bathsheba Case, daughter of Isaac Case and Bathsheba Humphrey, on 8 April 1770. Ezekiel Phelps died on 11 November 1789 at Granby, Hartford Co., CT, at age 41. [S135] Judge Oliver Seymour Phelps Phelps Family, Page 325, Item 1101. [S45] Albert C. Bates, Simsbury, Page 71. Philo Phelps was born at Granby, Hartford Co., CT. He was the son of Ezekiel Phelps and Bathsheba Case. Philo Phelps was baptized on 8 August 1781. He married Violet Case, daughter of Simeon Case Jr. and Violet Burr, on 1 January 1818 at First Congregational Church, Barkhamsted, Litchfield Co., CT. Philo Phelps died in January 1832 at Granby, Hartford Co., CT.
Titus Reed was born on 9 January 1735/36 at Simsbury, Hartford Co., CT. He was the son of Jacob Reed and Mary Hill. Titus Reed married Amy Case, daughter of Noah Case and Miriam Holcombe, at West Granby, Granby, Hartford Co., CT.
Jemima Moore was born on 13 February 1756 at Simsbury, Hartford Co., CT.1 She was the daughter of Sanders Moore and Damaris Tuller.1,2 Jemima Moore married Sgt. Richard Case, son of Richard Case and Ruth Case. [S414] Hon. Horace L. Moore, Andrew Moore, Page 32.